Deputies say the threat at Farnell Middle School, which also affected Bryant Elementary School, was unfounded and the student who reported the threat could face felony charges for making a false threat. 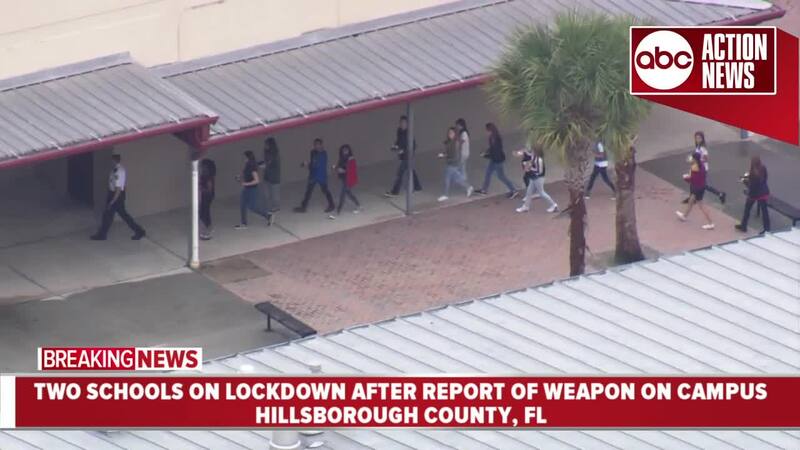 HILLSBOROUGH COUNTY, Fla. — Two Hillsborough County schools were put on lockdown on Wednesday while the Sheriff's Office investigated a report made by a teacher about hearing a rumor of a weapon being on campus. Deputies say the threat at Farnell Middle School, which also affected Bryant Elementary School, was unfounded and the 12-year-old student will be charged with a felony. She is a sixth grader at Farnell, deputies say. Just before 10 a.m. Wednesday, a middle school student made a false statement to a teacher about seeing an unknown man dressed in black carrying a gun on campus on her way back from the bathroom. The teacher told a school resource deputy and in less than 30 seconds, the deputy responded to the area where the student reported seeing the person, but he did not locate the subject. 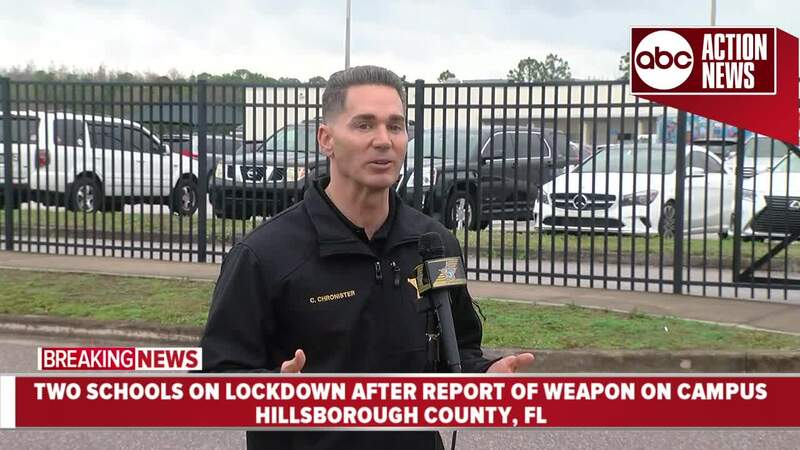 Within minutes, dozens of deputies and school security officers responded to the school and both schools were put on "lockout" mode. The middle school students were sent to the auditorium to go through metal detectors. The student who told the teacher she saw someone with a gun, later admitted to fabricating the entire story. "As a parent, it concerns me and is heart wrenching that 1,300 students just had to go in lockout, which means they had to barricade in place as [deputies] stormed the campus. That's traumatic that these children had to go through that, and its absolutely intolerable," said Sheriff Chad Chronister. The Hillsborough County Sheriff's Office says 55 HCSO personnel were called out to assist, including Aviation, Motor and K-9 units. Both schools were transitioned from lockout to lockdown and the students had lunch and went back to their classrooms by 1 p.m.
"To say I'm ecstatic with the response would be an understatement. As tragic as this is for the students that just had to endure the entire process of what happens when we go into a lockout at a school, the good news is that every child is safe and the threat has been unfounded," said Sheriff Chronister. "As large of an advocate as I am for keeping our young people out of the criminal justice system with all of the diversion programs and all of our preventative programs, this is one area where I'm not willing to compromise," said Sheriff Chronister. "There's no room for any type of entertainment or joke, any type of made-up threat. 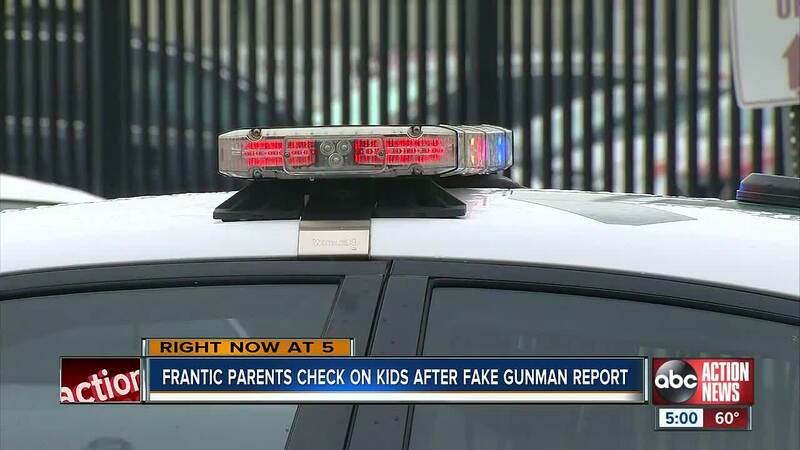 I think that the only way to handle this is by taking a hard line stance and making sure all of our children know if you make a school-based threat, it's no different than making a threat in an airport or in an airplane. It's going to be [prosecuted] to the fullest extent." The Hillsborough County Sheriff's Office say the sixth grader in facing charges for disrupting a school assembly and false report concerning the use of a firearm in a violent manner. The latter is a second-degree felony.